Dual setting buttons with 2 kinds temperature and speed modes selection. Hot/cold wind design meets your different needs. Comes with a nozzle to help blow straight hair style. 1600W Professional Hair Dryer Blower Adjustable With Nozzle will provide sufficient air flow to allow you to dry your hair and look fabulous before stepping out. 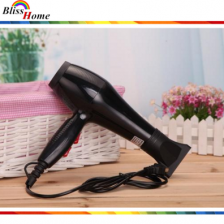 This hairdryer is unbelievably simple and quick to use. 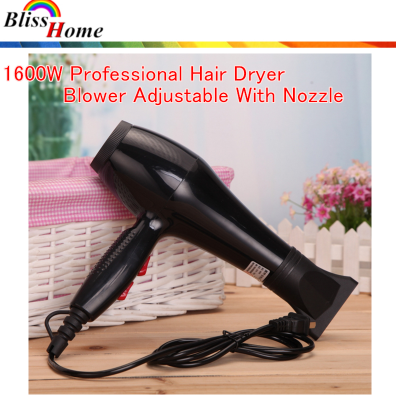 1600W Professional Hair Dryer Blower Adjustable With Nozzle high performance professional salon hairdryer. Operating at high watts this turbo force hairdryer offers three speeds and two temperature settings. It is salon grade, high-powered hair dryer comes with nozzle. 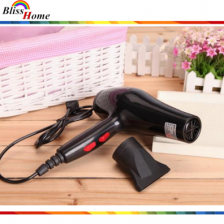 The Professional Hair Dryer Blow comes with 2 heat (cold & hot) and 2 speed (high, low) setting.